Remember that yards full of cars may indicate that traffic is not moving, while yards with mostly empty tracks can mean there's lots of traffic out on the road. A well maintained yard with relatively few cars in it may indicate that they have efficiently dispatched all of their traffic, while a poorly maintained yard that is full of cars may indicate that there's been a serious downturn in business. Thank you for the advice. I appreciate all the sincere comments. I'm leaning towards doing as much as possible given the limitations of Scalerail and my abilities. But I REFUSE to use dynamic track, so that means a lot of trial and error and accepting of MSTS track system limitations. Just some info. In the 1940s and early 1950s, B&O has only three westbound and five eastbound scheduled freights - 94s and 97s. The difference being westbound was predominately empties, while eastbound was loads, so westbound trains could be longer. However, most days saw an average of 24 or more trains in each direction operated as extras. Of the 24, 17 were tonnage coal trains moving eastbound. Trains length was anywhere between 45-65 cars depending on availability of helpers. Daily peak in the 1940s were almost 1,400 cars eastbound - meaning some 990 were hoppers - mainly due to WW2. After the war, this dropped by 50% and settled at that rate for most of the decade after WW2 until the massive shift away from coal as prime home heating fuel in the NE. Keyser remained a sea of loaded and empty hopper cars into the late 1950s, as the photo shows. Local and intermediate tonnage trains would get reclassified at Keyser for movement to Baltimore harbor export, forwarding to NE cities via WM and Reading, or other railroads. So cars would sit for days until enough volume of a certain quality was ready for shipment. 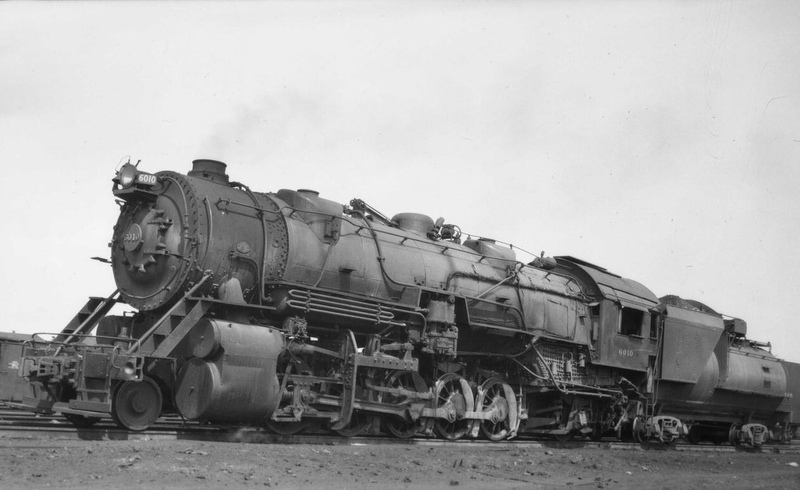 I've seen claims that up to 30% of all the coal hauled by the B&O was consumed by other railroads. Well the early phase is complete - East Receiving Yard is done and successfully crossed tile boundary with 11 tracks! of the MCOA2 route, Tacoma Yards. in the current time frame. You apparently had some concern about a yard crossing a tile. This was especially interesting because I had to selectively move the location of switches because of the tile boundary without destroying the flow and purpose of the yard tracks. Thanks for the support. I'm sure you will recognize some landmarks and not others as they have changed a lot over the years. 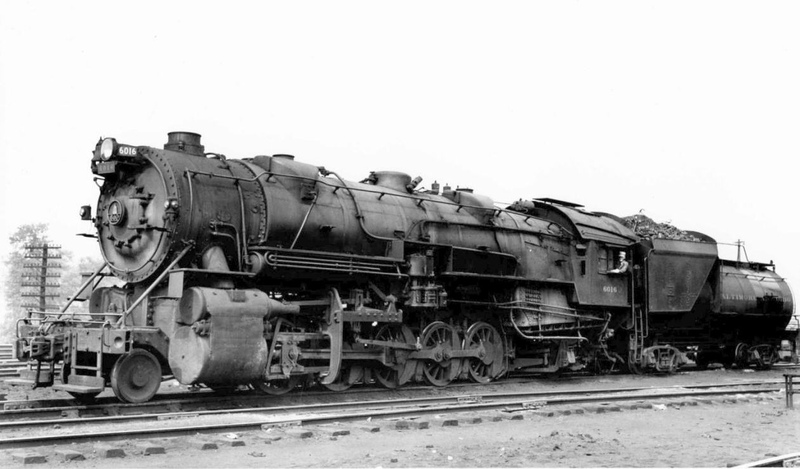 Man - I guess the B&O does have some interesting steam power - just poking around - some brute - eh ? Last edited by scottb613; 04-15-2019 at 11:27 AM. I never understood how those huge 10 (driving) wheelers coped with curves? They look as if they'd just straighten them out!!! No flanges on the middle drivers. Unfortunately, Big Sixes, as the 2-10-2 class was nicknamed, didn't see much action of the West End except as the lead on a very few passenger trains and helpers on some merchandise extras. West End was mallet territory - EL-2/3/4/5/6 (2-8-8-0) and T-3 (4-8-2). Big Sixes were the standard power for Sand Patch and the route to Connellsville. BTW, Allen did a beta version of a Big Six which is really nice. Needs some work on physics as it's too powerful as is.